Well Done to the Newly Qualified Young Whistlers! Congratulations to the 5th class pupils who recently qualified as Young Whistlers! 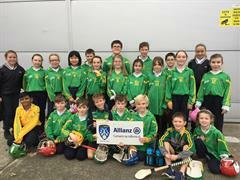 Well done to both quiz teams who were superb at the recent Alllianz Cumann na mBunscol Chill Mhantáin Tráth na gCeist. Special congratulations to the team who emerged victorious in 1st place in the county, fantastic achievement! The Future of Camogie is Bright! 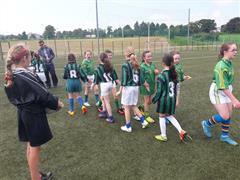 Well done to the girls who participated and to our Young Whistlers who did a fine job! Congratulations to the boys who won their division in the Coughlan Cup! 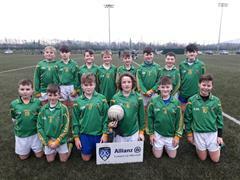 The boys displayed some great football at the recent Allianz Coughlan Cup and were deserved winners. The future is bright for Wicklow Camogie! 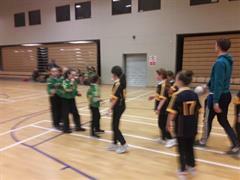 Well done to the girls from KPS who had a great day! Well done to all those who represented KPS at the Regional INTO Skills Challenge and congratulations to our three qualifiers!